The Racehorse MK5 is an evolution of the MK2 racehorse. 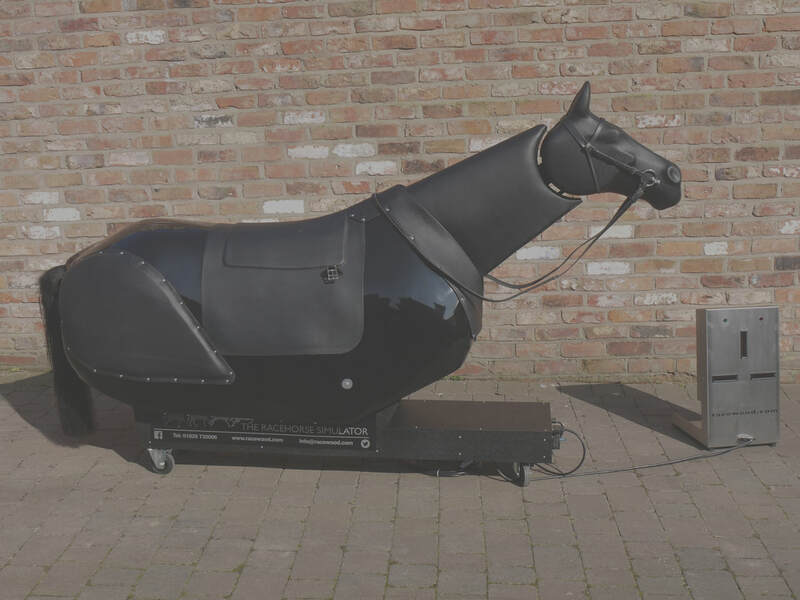 In addition to the galloping movement it is equipped with an adjustable lateral lean as standard and has sensors that provide feedback on rider balance, rein contact and correct use of the whip. The first group to start using the MK5 was RACE, across in Ireland. They use the simulator to assess their riders technique, positioning & balance; as well as correct use of the whip. Rein contact and balance is displayed on a separate control unit that can be positioned in front or to the side of the simulator! There is a switch that can disable the sensors and the length of the connection to this unit can be made longer or shorter. Correct use of the whip is a key component of modern race-riding. Correct use of the whip is indicated by a green light on the sensor box, whereas incorrect use is displayed by a red light and at the same time the simulator will slow down.